Spring is almost here and that means it is time to clean. Get an early start by removing burlap from trees, pruning dead branches and freeing up some space for new greenery. If you look around your yard, you’ll likely see a number of other projects. You can pull up those old annuals, cut the perennials and thin crowded beds. Once you’ve cleaned up your yard, call Mr Junk. 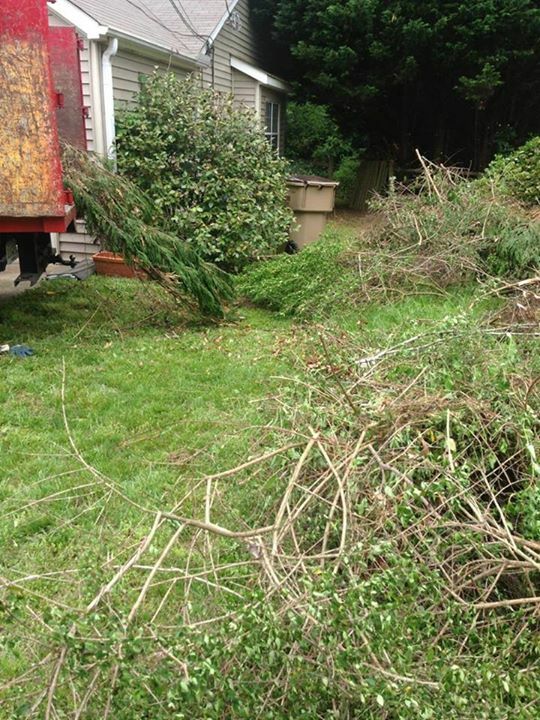 We’ll remove your yard refuse and debris so that it doesn’t sit in piles by the curb and blow back into your yard. Nor will you have to keep it all in those bulky large trash bags until the garbage men arrive. Our professionals will pick it up and dispose of it in an environmentally friendly manner. We can even recycle things like computers and computer monitors in a manner that doesn’t leak hazardous chemicals into the environment. You can rest assured that your old electronics will be re-used for other purposes. If you’d prefer to put your yard waste into a dumpster instead of numerous trash bags and bins, let Mr Junk handle it. It’ll make your yard cleanup that much easier. We can even perform your yard clean-up for you. Don’t stress yourself out by trying to tackle a job of this magnitude by yourself. We’ll eliminate all your yard debris, scrap metal, old plywood and other items so that your property returns to its original beauty. Once you’ve completed your spring clean, you’ll likely have plenty of items that you no longer want. Aside from removing all of your yard refuse, old patio furniture and other outdoor items, we also dispose of indoor items as well. If you need a mattress, furniture, carpet, old car, scrap metal or electronics removed, lean on us to do the job right.